I sometimes wonder how much our current fixation on hoppy beers is impacting the relevance of competing styles. This question occurred to me after I read Jeff Alworth's recent piece on the importance of appreciating different styles. Relevant stuff. Then there was my recent visit to Central Oregon. At one point I was sitting in a brewpub enjoying a pint. An older gent walked in and sat down in the vacant seat next to me. He looked at the board and asked if they had anything malty. "Not really," I said. In fact, the only remotely malty beer they were pouring was a black ale. It was not mega-hoppy by my standards, but it was hoppy enough to shock the palate of this gent after a taste. They had nothing for him. That scenario may not be the norm, but it got me wondering about the current beer landscape. If you walk into a store, taproom or brewery, you are likely to find plenty of hoppy beers on the playlist. That's no accident. These businesses are catering to the masses...and mostly the masses want hoppy beers. That reality means darker styles, in particular, get less attention. It hasn't always been this way. If you rewind to the early days of craft brewing, brewers typically offered a fairly balanced mix of hoppy ales and stouts. That's how they differentiated themselves from macro sludge. Don't kid yourself, though. The hoppy beers of yesteryear were nothing like the robust IPAs, IIPAs and IIIPAs of today. Night and day difference. It's pretty clear that hoppier styles have won over the hearts and minds of most modern beer fans. At least for now. Your average brewpub, taproom or store is likely to have multiple hoppy choices for every stout or porter. Go out and do the research if you need to. I have to admit being part of the growing IPA craze going back many years. I was homebrewing and drinking mega-hoppy beers by the late 1990s. I shifted my attention to a wider range of styles that includes lighter and darker styles as part of widening my beer perspective in recent times. Not everyone feels the need. The quintessential question is this: Are darker styles being driven into extinction or will there be a backlash to the blindspot that's formed in the shadow of IPA's popularity? Will we ever return to a time when an oldtimer can walk into a pub or brewery and be pleased with the non-hoppy choices? Something to ruminate about, if nothing else. I think the better question is: which styles are [pick whichever demographic floats your boat--Americans, Portlanders, West Coasters] abandoning. Because, as we develop authentic beer culture, we select. They don't drink abbey ales in Munich, nor helles in London (or even Dusseldorf). The IPA craze is not a craze, it's the selection of a type of beer that a population desires. I doubt seriously black ales are in trouble. At least in Portland, they are a reliable niche seller. 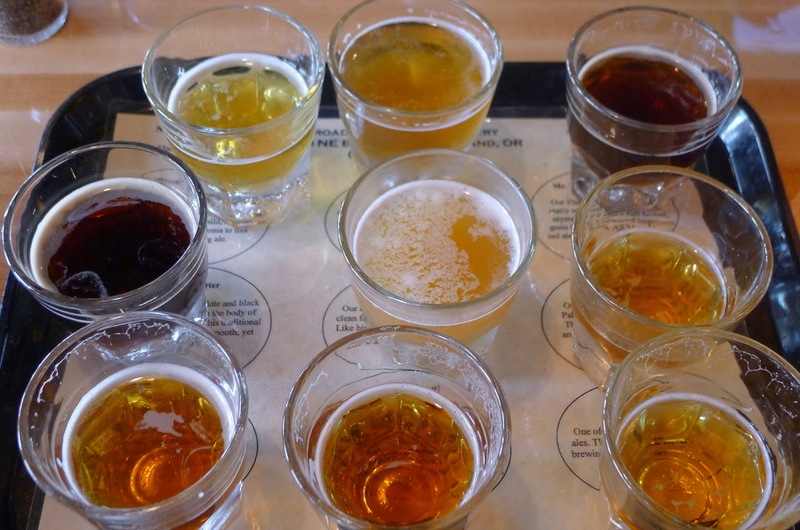 Brewpubs offer them because there are a group of 10-20% of the population who like them best. I'm delighted to see that pilsners are making a comeback. But there will be a great winnowing in the next ten years.